To find Iizuka Seimaiten, take the East exit from Gakugei-daigaku Station and head along the shopping street. Turn right at Resona Bank and continue straight on for five minutes. You should then see the store on the right-hand side. 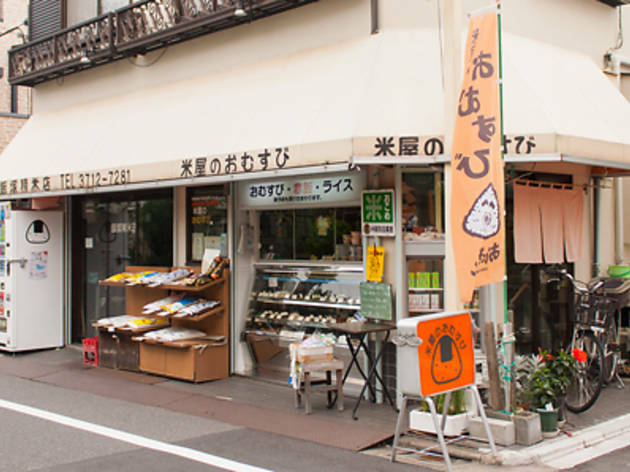 Divided into two parts, the shop sells onigiri on the right and rice on the left. 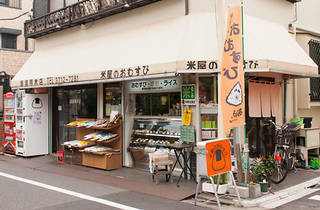 In addition to a number of more common fillings, the wealth of different onigiri offered here (which are made using a special blend of rice that remains soft even when chilled) also includes flavours such as salmon roe, uni-kurage (sea urchin and jelly fish), karaage, and mayonnaise. Additionally, during the mornings, they also make a limited number of onigiri, such as shio-musubi (salted onigiri), using pesticide-free rice. Prices range from ¥130.